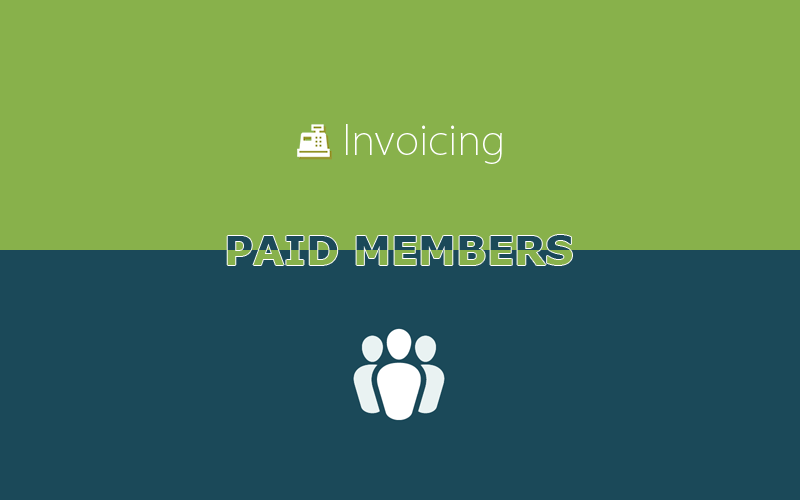 Connect Members with Invoicing to create the most lightweight paid membership solution for WordPress! Members By Justin Tadlock is a free plugin that extends your control over user roles and capabilities. It is very popular, in fact it is active on over +100k websites. In it’s original state it allows to create new roles and edit both new and existing roles, by modifying their capabilities. 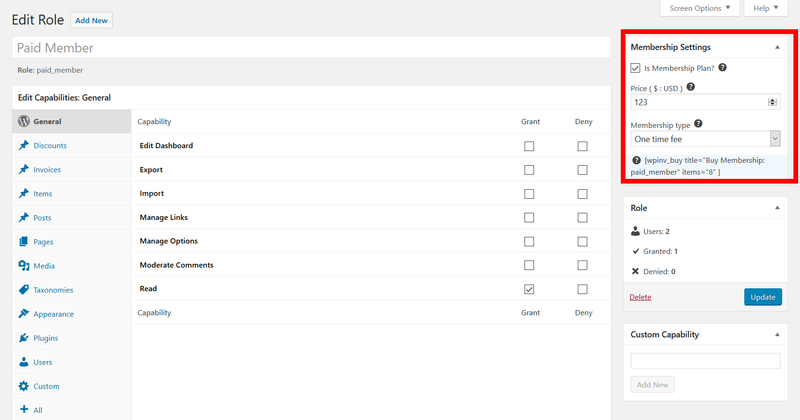 To make an example, you could create a role “staff” and crate pages that can only be accessed by users with that role. This allows website admins to create private areas of their websites. Whenever the website owner has valuable information to hide behind these private areas, they tend to sell access to them, creating what we call paywalls or membership websites. The Members plugin doesn’t provide options to assign a price to a role for a given period of time and collect payments, until today! We created the Paid Members add-on to connect Members with Invoicing and create the most lightweight paid membership solution for WordPress. If enabled, allows to charge money for a given role. The price to charge to access a given role. One time fee : never expires. One time fee, limited time : requires the user to buy again once expired. Subscription payment : recurring payment, it will not expire until the subscription ends. outputs the buy button for that membership. We are currently looking for anyone willing to do some beta testing and provide feedback to improve it before its final release. It goes without saying that you MUST have both Members and Invoicing installed for this add-on to work. Can I use this to force my users to basically register in order to access all CPTs, even if it is for free? and am looking for a “Members” Add-On that allows restriction of taxonomies. Is there till a possibility to get my hands on that “restrict taxonomies” Add on somehow? it’s part of the Paid Members add-on. Basically we created an add-on that integrates Members and Invoicing so that you can sell Roles. While at it we added the option to restrict taxonomies too. If you don’t create prices, you can use the add-on without charging for roles. It would be awesome if you could outsource this specific addition (restrict categories) into its own addon plugin, because we do not need all of the other code (Invoices and Paid Memberships). I’m sorry but we don’t provide custom work. If you wish you can take the code, fork it into a plugin of yours and use it. It’s open source and GPL so you are more than welcome to do so.